There’s no denying Chiltern is a very humble country town, but scrape the surface and you’ll discover history, culture and natural beauty you won’t see anywhere else in the world! 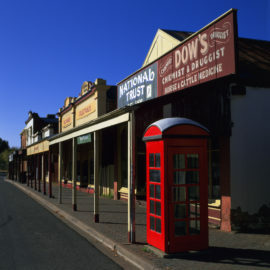 Originally a mining town, the streets of Chiltern have been beautifully preserved and restored to give visitors a clear vision of the town back in its heyday. Proudly home to 21 buildings registered or owned by the National Trust, Chiltern has even starred in several motion pictures for its effortless authenticity. To best see the town, take the Chiltern Walk. 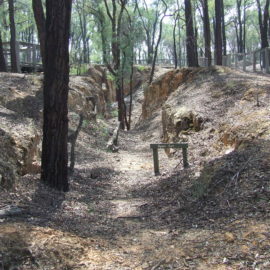 For more on the town’s deep mining routes - see the old mining village, the old stamper batteries, mine shafts and open cuts, let the Magenta Mine Walk take you there. 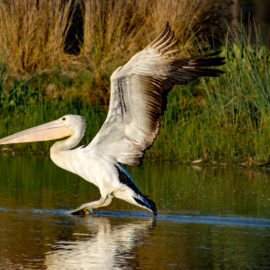 With what’s thought to be 13,000 ounces of gold excavated from the area during the gold rush, there’s plenty to see. 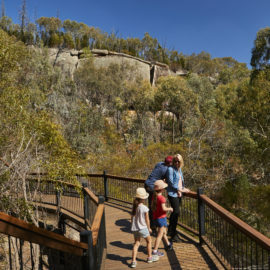 For more ancient history, venture out and take the Yeddonba Aboriginal Cultural Site walk. This track will take you to a sacred place amongst the local indigenous people, evident in the red ochre painting of what’s believed to be a thylacine - spirit animal of the local clans. 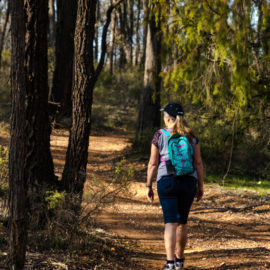 Other walks will demonstrate the breathtaking natural beauty, both flora and fauna, Chiltern has to offer. 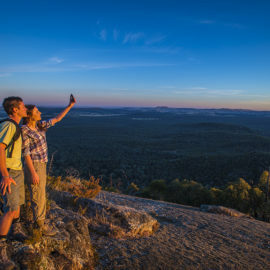 From 360 degree views at Mt Pilot to premier bird watching and sighting 'the golden mouse', these walks will see you get the very best of your visit to Chiltern. 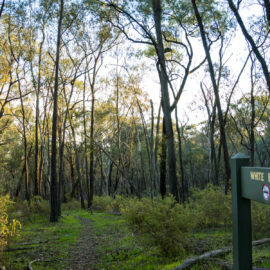 If you plan to undertake a walk in bushland, be sure to let someone know where you are heading and what time you expect to return. Wear appropriate clothing and footwear, and take snacks and enough water. Stay on the track and do not wander off. 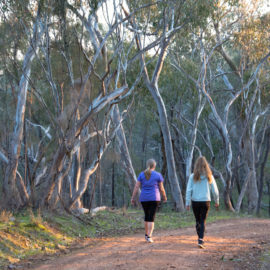 For more advice on how to prepare and be aware when undertaking a walk in the bush, check out the Parks Victoria website. Download a PDF version of the Walks Guide, or if you're seeking a printed version copies are available at the Visitor Information Centre.